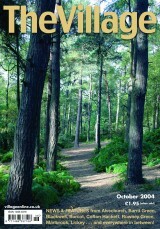 Our October 2004 cover showed a seasonal scene of the woods above Lickey Visitor Centre. IN THE NEWS: A plan had been hatched to build a link road from the M42 at Hopwood to the Longbridge car plant, the redundant parts of which were already destined for retail, business and residential use. Meanwhile, the protest against plans for a rendering plant at Hopwood was gathering momentum, with a series of public meetings across the area. * Blackwell at last had a village school bearing its name, as Linthurst First School in St Catherine’s Road became Blackwell First School. The school also had a new logo designed by pupil Ella Smith-Carrington, pictured with Nathan Aktar and Nicholas Sfantzis. 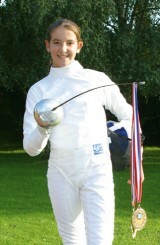 * Alvechurch youngster Courtney Hyde had set her sights on the 2012 Olympics after winning the British Youth Modern Pentathlon Championships. The 12-year-old beat 18 other girls across the five events: fencing, swimming, shooting, horse riding and cross country running.